I am thrilled with Maryland Senators Op-Ed in the Baltimore Sun today which calls offshore drilling to be taken “completely off the map for the entire Mid-Atlantic, South Atlantic and Straits of Florida planning areas.”, and also points out that we need to address our failed energy policy by passing comprehensive clean energy and climate legislation NOW. 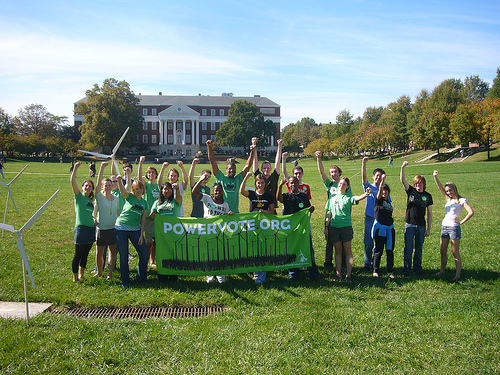 Hats off to Ben Cardin, he took part in a Clean Energy Town Hall with my group UMD for Clean Energy a couple of weeks ago, and we liked what he told us then. I really like what he’s telling Maryland now. I’ve re-posted the entire column below. Get Energy Smart Now has thoughts on the op-ed as well. The catastrophic oil spill ravaging the Gulf of Mexico and bearing down on coastal states is another reminder: America’s current energy policy is a disaster. We need to break our dangerous addiction to oil and promote safe and clean sources of power and fuel — and we need to begin today. On Tuesday morning, I’ll co-chair a Senate hearing on protecting America’s coastal health. In the afternoon, that same Senate committee will meet to assess the damage the BP oil spill is doing to one of the most ecologically complex regions of the country. Already, though, it’s become painfully clear that there is no satisfactory remedy for the economic and environmental devastation that follows the blowout of an offshore oil rig. In Maryland, we know about the importance of wetlands, fish nurseries and all the other elements of sensitive coastal ecosystems. The fragile barrier island of Assateague and ourChesapeake Bay are integral parts of our heritage as well as our environment. We cannot put them at risk in a similar way. We need a new energy future based on clean, renewable, homegrown energy sources and a national commitment to energy efficiency. With those goals in mind, I co-authored a letter last month calling on President Barack Obama to reverse his decision to allow oil and gas drilling off the coasts of Maryland and other Atlantic Seaboard states all the way to the Straits of Florida. Last week, the president did the right thing in suspending new offshore drilling. The president, though, needs to go further by taking the offshore drilling option completely off the map for the entire Mid-Atlantic, South Atlantic and Straits of Florida planning areas. The BP oil disaster now covers an area the size of Maryland. There is simply no guarantee against catastrophic oil spills. And there is no effective way to protect the economically, strategically and environmentally important areas up and down the Atlantic Seaboard. Today, coal-fired power plants spew dangerous pollution into our atmosphere. Our buildings, cars and businesses are notoriously energy inefficient. Every day, we send nearly $1 billion overseas to purchase foreign oil. Too many of those petro-dollars end up funding terrorists who hate America and make the world less safe every day. Today’s energy policy contributes to international instability, which is why the Department of Defense is so alarmed and leading military officials have called for a fundamental change in direction. Today’s energy policy also hurts our economy by sending our wealth abroad at a time when other nations, like China, are making major investments in wind and solar power. The more than $300 billion that we send overseas annually to satisfy our oil appetite should be spent here at home on sustainable energy sources and implementing energy efficiency measures. Of course, proponents of offshore drilling like to tout it as a way to reduce our dependence foreign oil. But the fact is, we can’t drill our way to energy security. Nearly a year has passed since the House of Representatives approved legislation that would put millions of Americans back to work, reduce our dependence on oil and help to ensure a healthier future for all of us. It has been nearly six months since the Environment and Public Works Committee that I serve on adopted a similar comprehensive bill. These bills put a lid on emissions and make a sustained national investment in clean energy such as solar, nuclear, wind and waves, which will generate the kinds of American jobs that can’t be exported. Now it’s time for the full Senate to act. We need to pass comprehensive clean energy legislation that will make our economy stronger and our country more secure. The environmental damage we are causing with our current energy policy is on stark display in the Gulf of Mexico today. The unseen greenhouse pollution that is fouling our planet is even more threatening. A responsible energy policy can put America back in control of its economic future and make the world a safer place. It can turn down the temperature on climate change. And it can do one more thing. It can help ensure the sanctity of our treasured coastal resources, like Assateague National Seashore and the Chesapeake Bay. As we’re now being reminded in the horrific stories and images from the Gulf, that’s critical too. Once squandered or despoiled, they can never be replaced. It’s time to work together in a bipartisan way to enact a clean and sustainable energy plan that takes us into the 21st Century strong and secure. We have the opportunity to redesign our energy policy so that it enhances national security, boosts our economy and preserves our environment. The choice is ours. 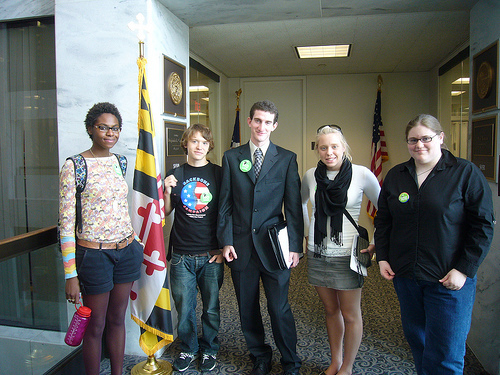 U.S. Sen. Benjamin L. Cardin is a member of the Environment and Public Works Committee. He may be contacted through the Web site cardin.senate.gov.